If that thing with making your own smartphones doesn't really work out, then why not at least bring your apps to as many smartphones as possible. That might have been the thought that Microsoft had and starts to install them on Lenovo's smartphones. All future premium smartphones by the chinese manufacturer (also including Motorola phones) with Android will come with Microsoft Office, Skype and Microsoft OneDrive pre-installed. During the course of the next years, "several million" clients will get these apps with their new smartphones. 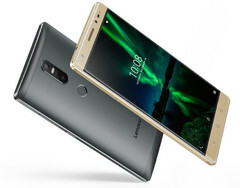 Lenovo sold about 75 million mobile phones last year, nevertheless, this business still is losing them money. There has also been a patent agreement between Lenovo, affiliated company Motorola and Microsoft destined to strengthen cooperation. There have been no further details on this. Will pre-installed apps make buyers happy? Clients wo really use Office, Skype or OneDrive will only save the few inputs and maybe data volume to install these apps from Play Store. At the same time users who don't want or need these apps will loose storage space on their smartphone and will have to deinstall them manually.